By this time of the year, when a new season is quickly approaching, it's the right moment to look for the new trends. I love a summer-fall transition in every way, from fashion key pieces to beauty statements. And probably one of my favorite new trends, seen on runways for Oscar de la Renta, Burberry and DVF, is the big bold brow. 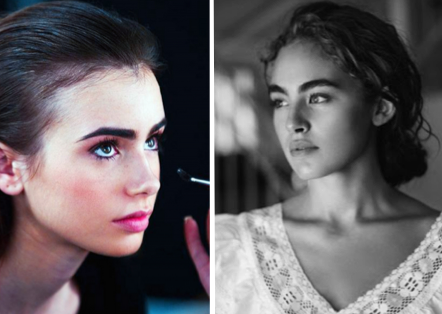 Eyebrows usually change every era, and particularly every woman has a personal way of styling depending on the face shape and symmetry. Regardless, big bold brows will always be my favorite look. They frame the face with such power, but still making it look natural and effortlessly elegant. And even if you weren't given such a pretty gift, bold brows can be recreated by filling them with a darker shade pencil. This trait that is so Elizabeth Taylor, has returned a few times during the last few decades. We all know it took many other Hollywood icons into the glamour spot. 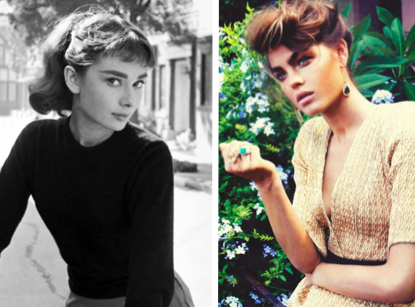 Audrey Hepburn and Jean Simmons, to name a few who were blessed with bushy brows, are the perfect examples that such beauty is never old fashioned. Images credits: The Beauty Department, Glamour Begins At Home, Young Hearts Run Free, Listal, Versace. Will you be wearing this bold trend during fall?